​View pictures and videos of past activities, projects and events. Read about our meetings and events. See news reports on our projects and guest speaker highlights. 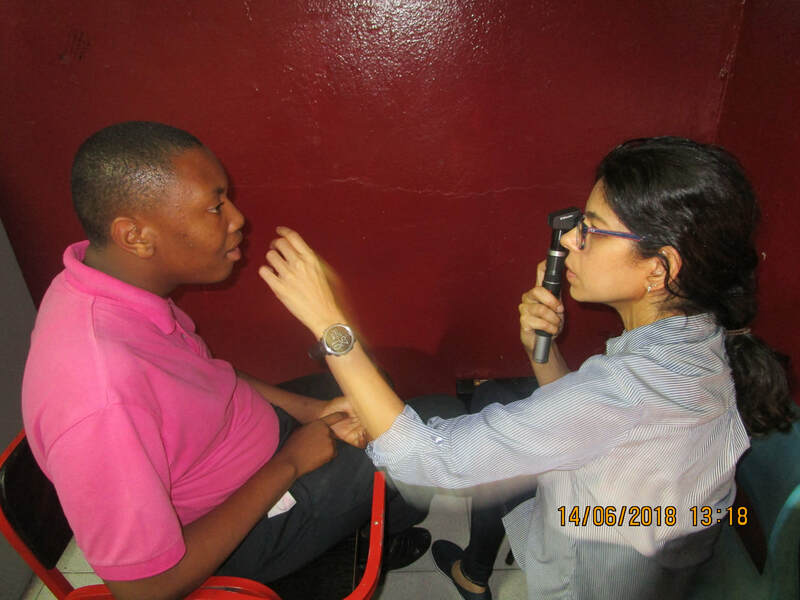 July 12, 2018 - The Rotary Club of Central Port of Spain (RCCPOS) recently undertook a project to provide vision screening for forty-eight students of the Each One Teach One School. 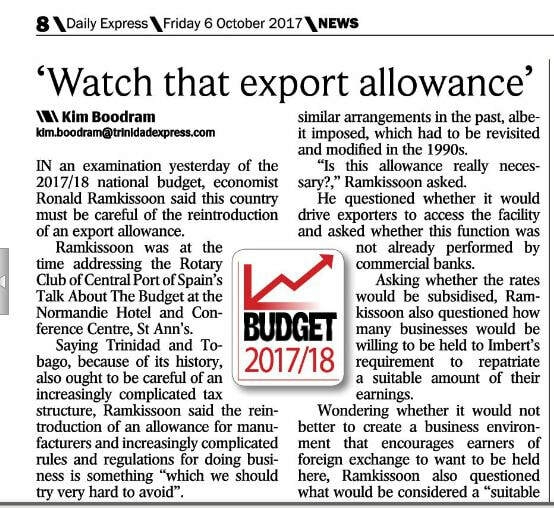 The lead on this activity was Rotarian Susan Philip. 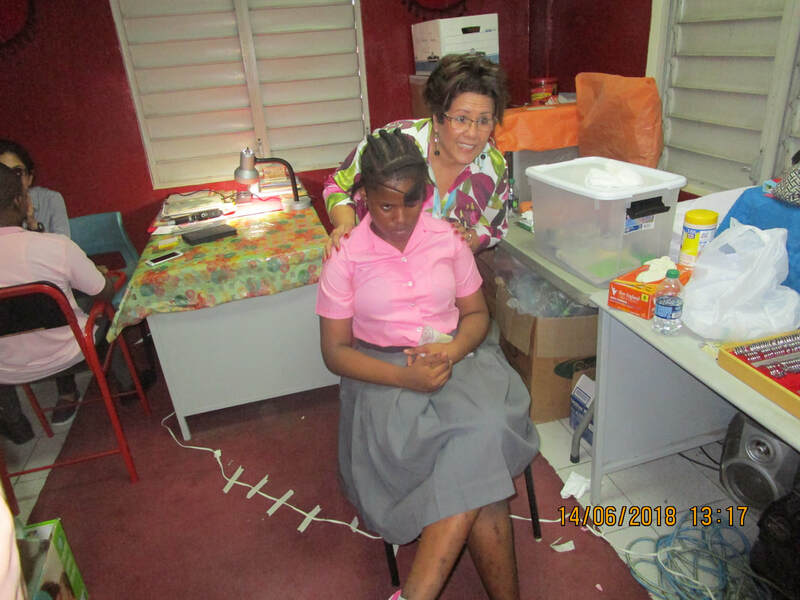 The school is in the Beetham Gardens and the club works with Principal Wayne Jordan on an ongoing basis, in an attempt to meet some of the many needs of its underprivileged children. Vision screening services were provided free of charge by Optometrist Rashmi Mathur, of Rashmi Mathur Optical, along with her Dispensing Optician, Marsha Bhagan, and volunteer Nadia Juman who also distributed snacks and school supplies to the students and umbrellas for their parents. The screening took an entire day at the end of which detailed reports were generated for the parents of all children tested. RCCPOS will now seek to provide the relevant prescription glasses for those children diagnosed as requiring them. These have been secured from an anonymous donor to the Club. 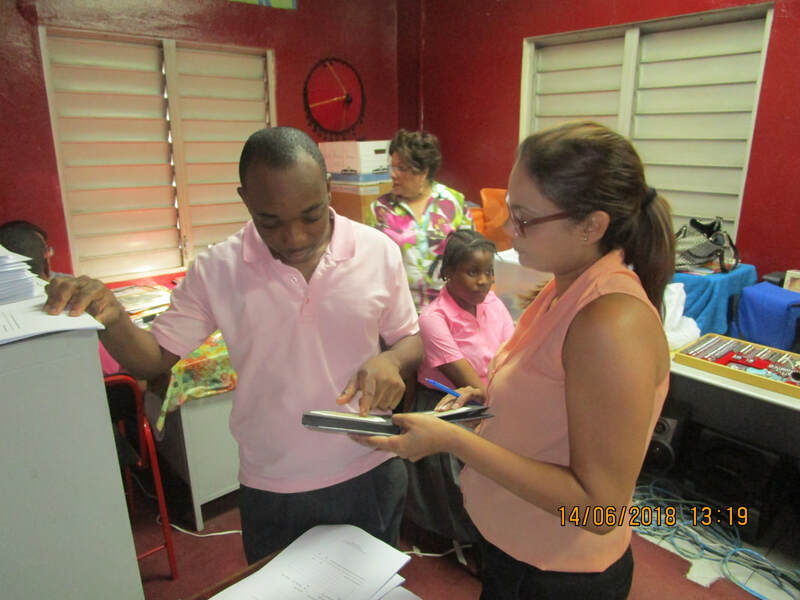 Additionally, some children have been identified for follow up action and the relevant referrals will be prepared. The Club wishes to thank Imshah Mohammed for his assistance with this venture. 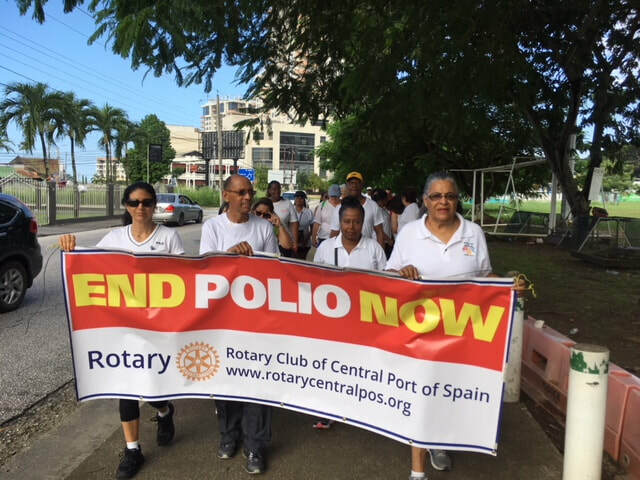 On October 21, 2017 the Rotary Club of Central POS hosted its Polio Awareness Walk around the Nelson Mandela Park. Polio eradication is on of Rotary's main goals. For the past 30 years, Rotary members have been fighting polio, which is now almost fully eradicated. World Polio Day is recognized on October 24 annually and to mark the occasion, our club held an awareness walk. Many thanks to our friends, colleagues and family members who came out to support. Education constitutes one of Rotary International's six areas of focus throughout the world, with September assigned the importance of Basic Education and Literacy Month. We as Rotarians have been serving humanity and making a difference in people’s lives, especially through education, for quite some time; and our Club is already well poised to accomplish key District goals with our well established and far reaching projects. Most of our education-based projects draw on the youth population from the Beetham Estate/East Port of Spain area. Under our Adopt a Child programme, we assist eight secondary school students with the purchase of school books and other essentials throughout their five years of secondary school. The All in One Child Development Centre has held a special place in our hearts for many years. It is an early education school located on the Beetham Estate. 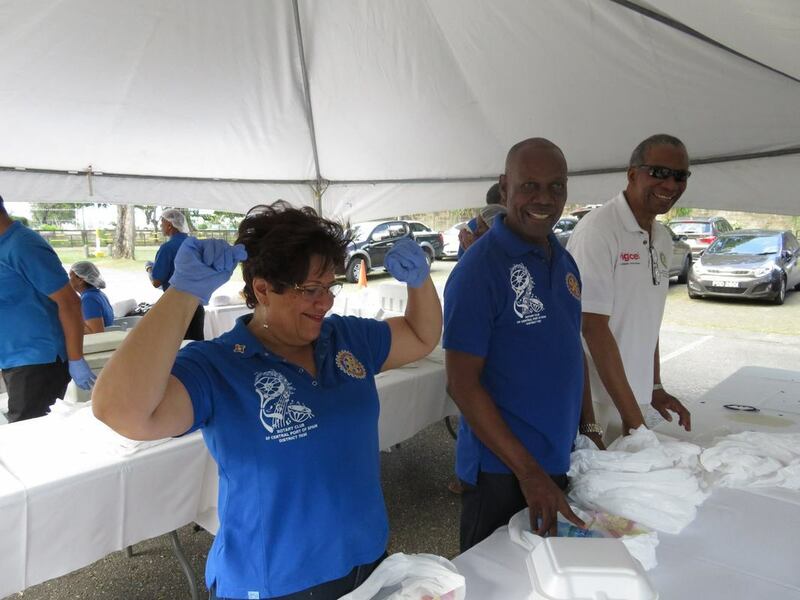 Some of our Club members have served on its Board of Directors, one of whom was the late George Alleyne who took a special interest in the education and welfare of the children. 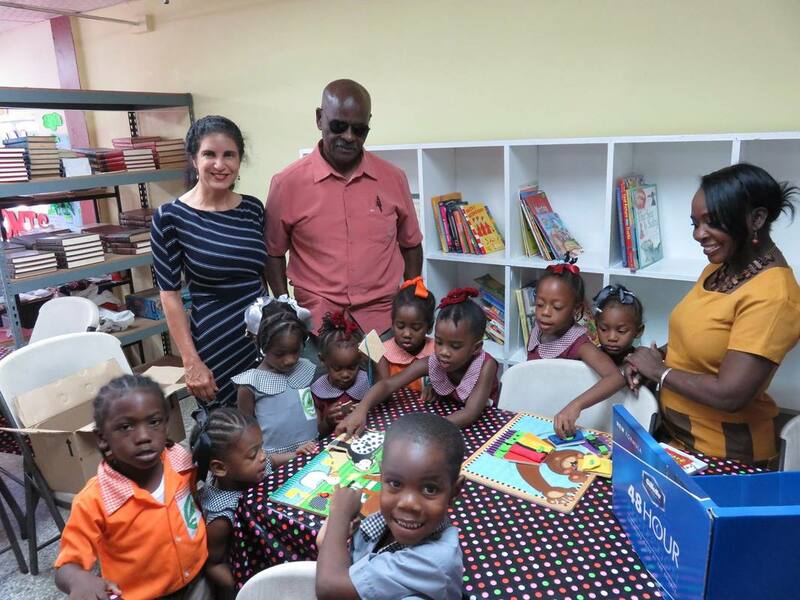 Earlier this year, we launched the George Alleyne Library, stocked with over 100 children's books and teaching aids. 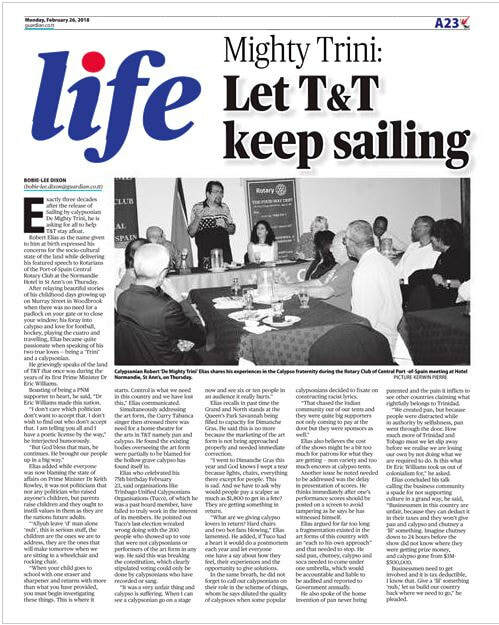 This event was featured in the daily newspapers. Our work with this school continues annually. The Each One Teach One school will receive greater attention this year. Located on the Beetham Estate in a previously abandoned building, students range from primary to secondary school age. In the coming year, we will provide support for meals, educational supplies and basic kitchen appliances. It is a joy to see children and young adults thrive with opportunity. 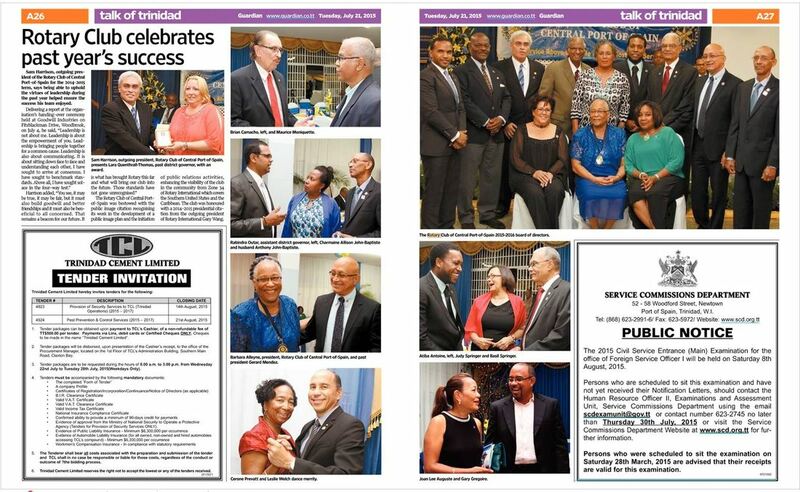 On Tuesday 22 August, 2017 two new members were inducted into the Rotary Club of Central POS. 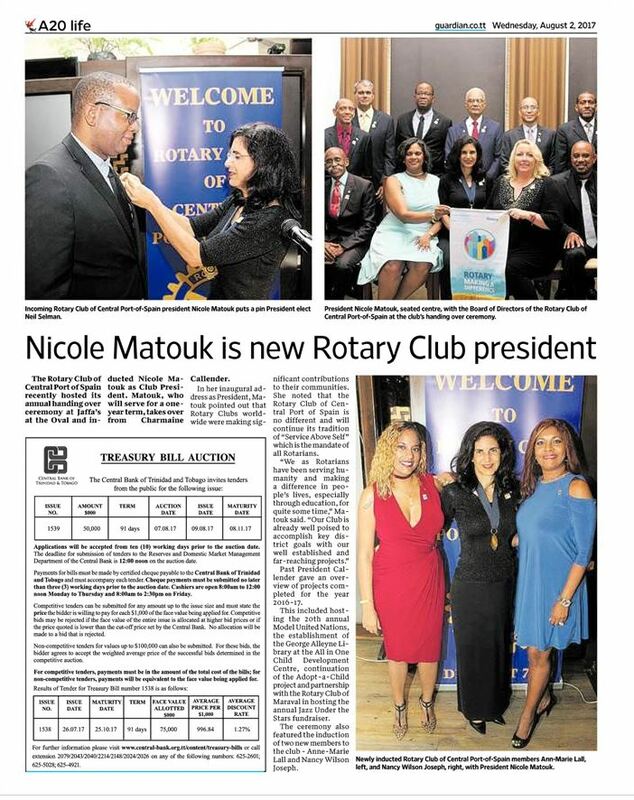 Sheranne Samuel, Parliamentary Clerk and Ronald Huggins, Real Estate professional were welcomed into membership at a joint meeting held with the Rotary Club of Maraval at the Hotel Normandie. Sheranne is no stranger to the club having been a Rotaractor for over 10 years. She stated that she looks forward to transitioning to her 'parent club' and continuing to serve her community. 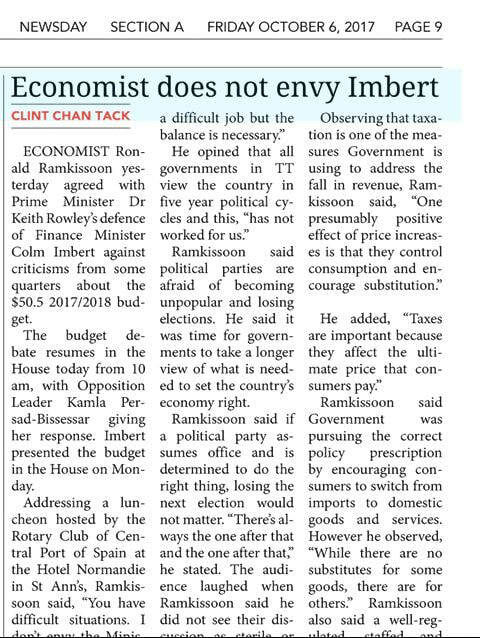 Conversely, Ronald thanked the stalwarts of our club for their dedication to the Rotary cause and for offering him the opportunity to be part of the organization. Sheranne and Ronald take the number of inductees for the new year to four. Ann-Marie Lall and Nancy Joseph were inducted at the club's Handing Over Ceremony. 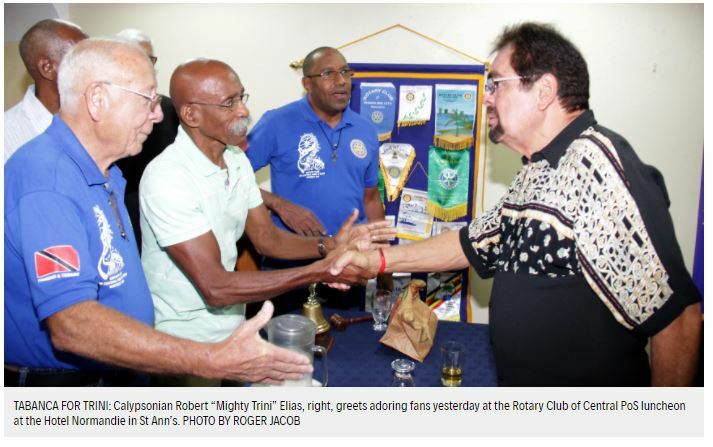 The Rotary Clubs of Central Port of Spain and Maraval will host the 5th installment of ‘Jazz Under the Stars’ on Saturday 13th May from 5:30PM -10:00PM at O’Farrell’s Waterville Estate, La Sagesse Road, Santa Cruz. This fundraising event will support the work of both clubs as they continue to serve their respective communities. Patrons will be treated to top class, local artistes at what has become a signature event for the clubs. 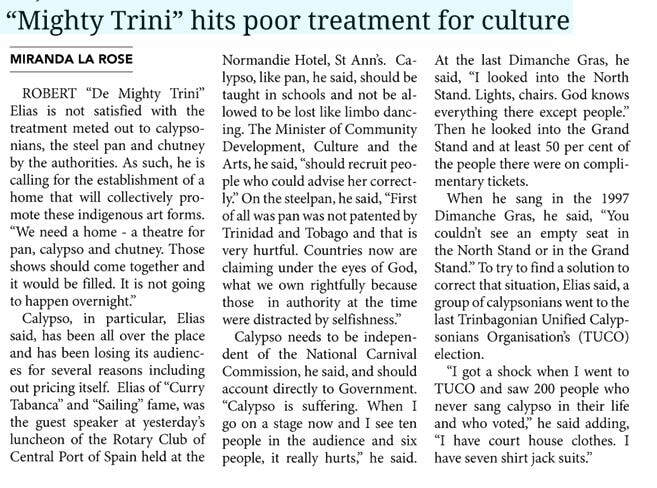 Such artistes include Elan Parlé who have been a highlight of the show over the years. Mad House Katz, Tabanca Blues Band and the youngsters of the Holistic Music School Band will also perform. 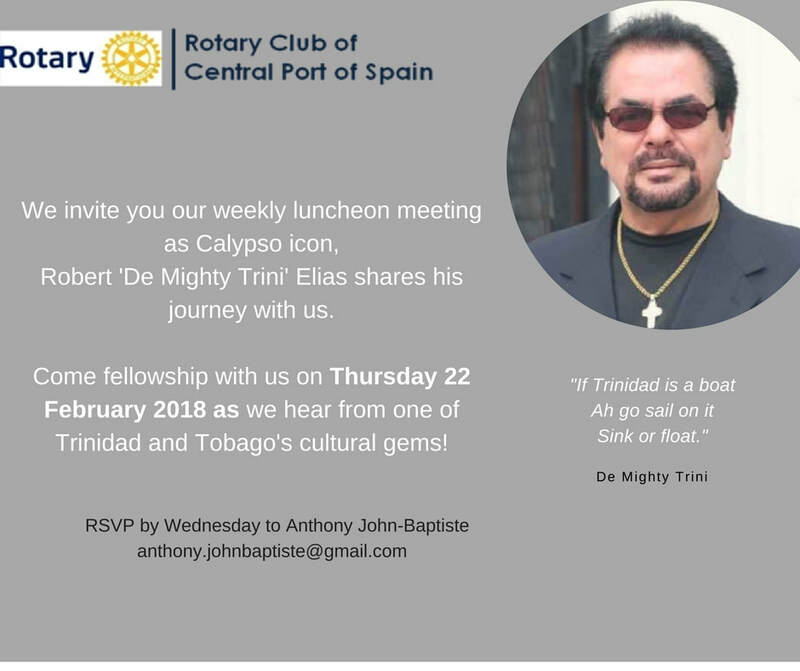 In addition, guests can expect to be treated by veteran calypsonian and extempo stalwart, Lord Relator at this family-friendly event. Tickets for Jazz Under the Stars are $300 and are available from Paper Based Bookstore, Normandie Hotel and at the following numbers: 621-1427, 313-4102, 678-1139, 299-6828. For ease of access to the venue, complimentary shuttles will take guests to and from the venue from specially designated and secure parking areas. For additional information, visit Jazz Under the Stars on Facebook. Prisons programme: donated computers to help with the literacy programme, facilitated eye examinations and donated spectacles to inmates. St. Andrews home for the aged, Belmont: provided floor boards, a water tank, fortnightly bingo and yoga sessions. Coverage of Jazz Under the Stars courtesy the Guardian. 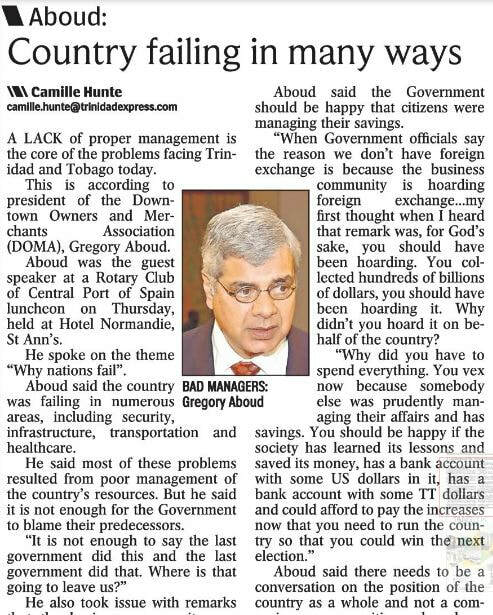 The Rotary Club of Central Port of Spain will host its 20th annual Model United Nations (MUN) on the 18-19 March at the Trinidad Hilton Ballroom from 8AM. 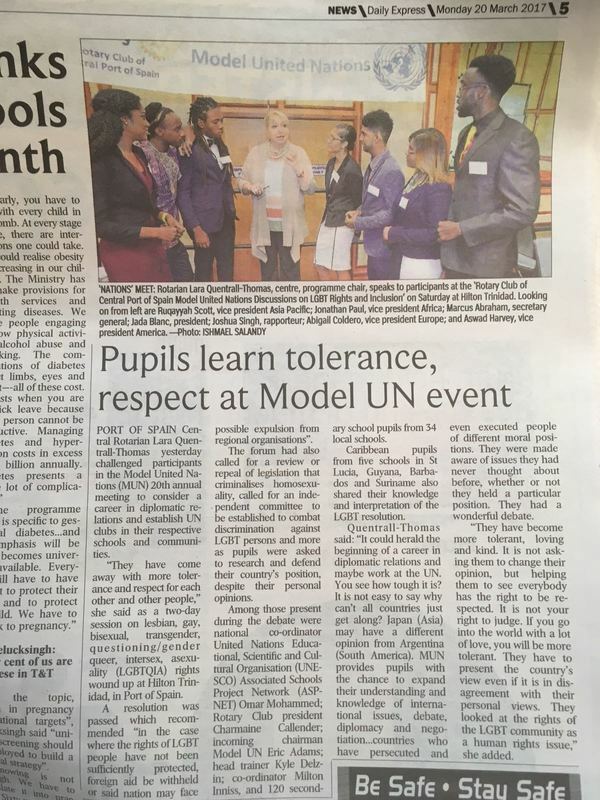 This unique event brings together secondary school students from across the country to debate international issues of great importance, as the young people play the part of UN General Assembly delegates. They will be exploring the issue of the Rights of the LGBT Community, examining different policy positions across the globe on this controversial and often emotional issue. This year more than 120 high school students from Trinidad and Tobago, St Lucia, Guyana, Barbados and Suriname are participating in the programme. Training was held over 7 weeks at the newly commissioned COSTAATT campus in Chaguanas. During the preparation for MUN students practiced research and public speaking skills, appreciation of the role of the UN in the world, diplomacy and compromise, all of which build their character and ability to express, listen to and appreciate different points of view without conflict. We see this as critical in a world where hate seems so often so much louder than love. Our goal is to teach them to respect everyone, regardless of gender, faith, orientation, nationality – to bring about a more peaceful and loving world. All of the administrative, preparation and training is done by Rotarians and other volunteers, including Rotaractors and our youth training team. 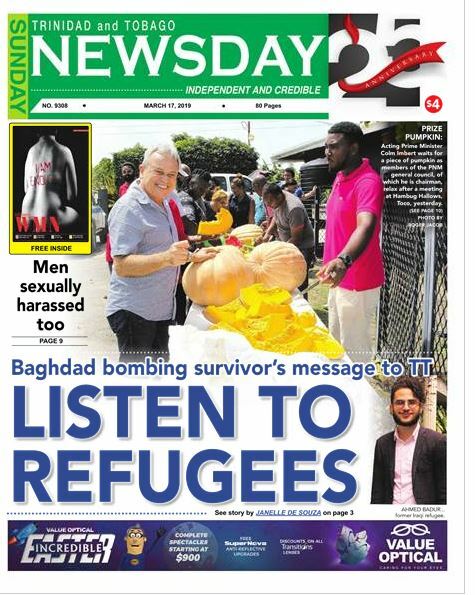 With financial support from the Digicel EPIC Foundation, the RCCPOS constructed and planted a vegetable garden on the grounds of the Shelter for Victims of Domestic Violence. This will enable the residents to grow and harvest some of their own food. We also installed water tanks to ensure the sustainability of the garden.